Which BTS Member Are You? Which is your favorite color? Someone who enjoys to read and is kind. Nothing specific, just a good personality. Someone who you can talk to for a while, and has a good voice. One with lots of aegyo, and is responsible. Someone who is like a puppy and likes cooking! Someone who is intelligent and talented. What's Your Favorite BTS Era? Choose One Word That Describes You! You are the most like Suga! Like Suga, you are probably unfiltered with your words and very straightforward. You are also extremely lazy but when there is a task, you will spend all of time on that... until its time to sleep again. You are the most like Jimin! Just like Jimin, you are quite defensive and want people to like you for who you are. You are extremely kind, and you are also a problem solver. You are the most like V! Just like V, you are the weirdest person you know. You are an alien at heart, and you aren't afraid to show everyone who you are. You are the most like Jungkook! Just like Jungkook you are talented at almost everything you do. You are probably put off the innocent vibe, but we know you aren't. You are the most like Rap Monster! Just like Rap Monster, you are probably very good at being a leader. You are good at learning things quickly, and you are very talented. You are the most like Jin! Just like Jin, you are a princess at heart. You probably know how to cook, and cook well. You are like the mom of your friend group, and take care of everyone around you. You are the most like J-Hope! Just like J-Hope, you are the most energetic person you know. You are full of sunshine and you are always happy! 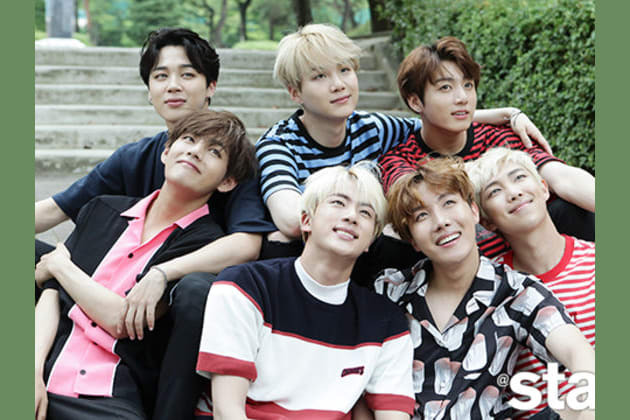 Find out which member of BTS you relate most to with 5 simple questions.